Used to transport bulk materials. 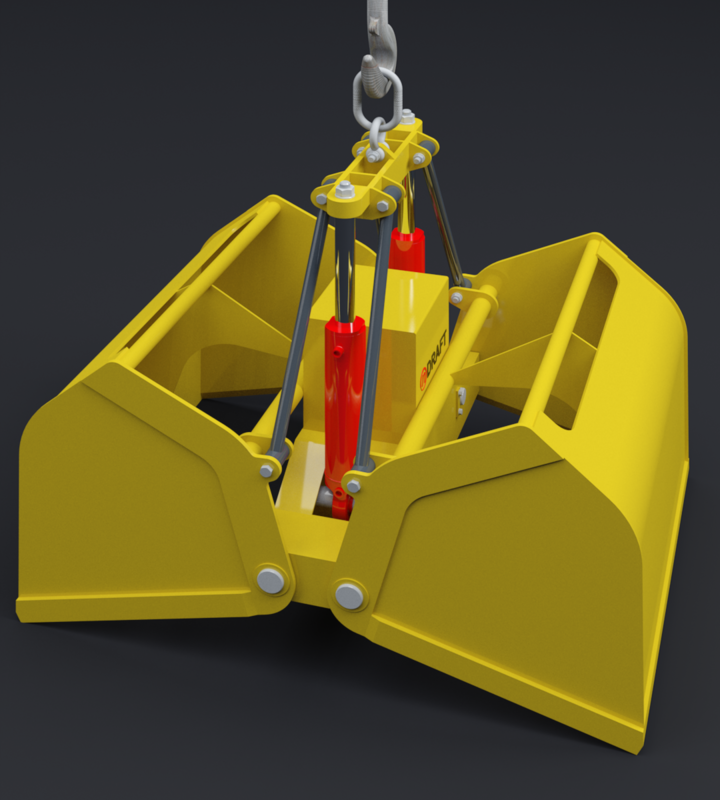 Equipped with its own hydraulic aggregate, which is installed on a crane. The shape of the shell is designed according to the material which would be transported through the device. Shell can be made of water resistant steel. Also can be equipped with addition screwed teeth. Need to supply the gripper (by using cable reel).